Many experts have tried the predict Bitcoin Rates but most experts failed. Bitcoin price changes all the time and it is very hard to say something accurate about future for Bitcoin market. Because bitcoin is traded on the free market that it is open 24-hour/7-day and people are able to buy and sell them in all time, investing experts can fail about predict btc value. Bitcoin has an incredible volume that BTC prices change always. Click here for the latest bitcoin rates. We have collected some of forecasts about bitcoin for 2018 – 2020 years. You can decide that which one is make sense and which one is not. He thinks that there is a grand future for Bitcoin in 2018. When bitcoin price was 700 dollars in 2014, in an interview about btc future, he mentioned that bitcoin would be hit 10,000$ dollars by 2018. There is a video which shows the interview of Tim Draper’s bitcoin prediction. -The bitcoin is not backed by a central government. -Send and receive bitcoin via computers or smartphones. 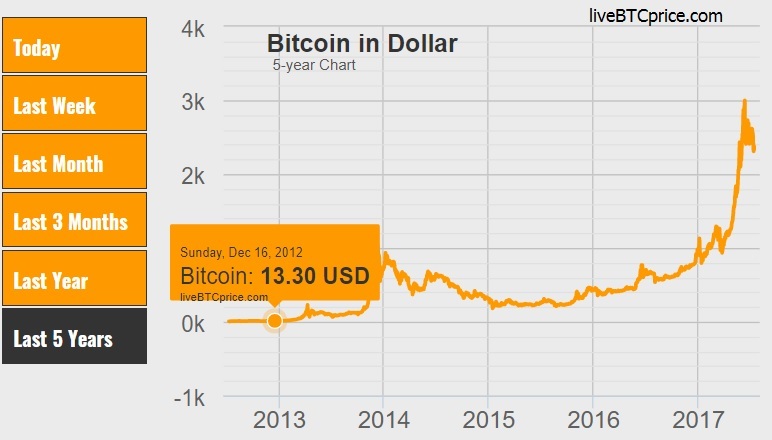 -End of August 2013, the value of all Bitcoins exceeded $1,5B. You can check video here. Goldman Sachs head of technical strategy Sheba Jafari thinks “Bitcoin is looking heavy”. According to him, after bitcoin hit a lifetime high (nearly 3000 dollars), it could go down for a while. According to him; "Both daily and weekly oscillators are diverging negatively. All of this to say that the balance of signals are looking broadly heavy.". Jeremy Liew, first investor of Snapchat, Bitcoin Prediction 2030. According to Jeremy Liew, Bitcoin isn't anywhere close to its potential. Liew thinks it could hit $500,000 by 2030. Peter Smith, the CEO and cofounder of Blockchain, also thinks the same. Liew’s and Smith’s argument is based on increased interest in bitcoin. Bitcoin interest increases every year. 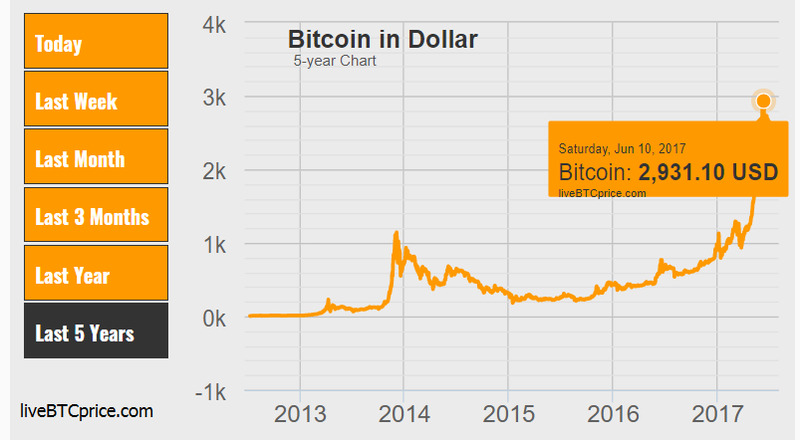 In 2013, bitcoin price was around 100$, in 2014 it hit 700$, and now in 2017, it reached 3000$. Number of Bitcoin network users will grow until 2030. The average price of bitcoin held per user will hit 25000 dollars. Bitcoin's 2030 market cap is decided by the number of bitcoin holders multiplied by the average bitcoin price held. Supply of bitcoin 2030 will be about ~20M. Bitcoin 2030 value and number of users will be $500 000 and 400 million respectively.